Green Lantern: You saw them die in front of you? 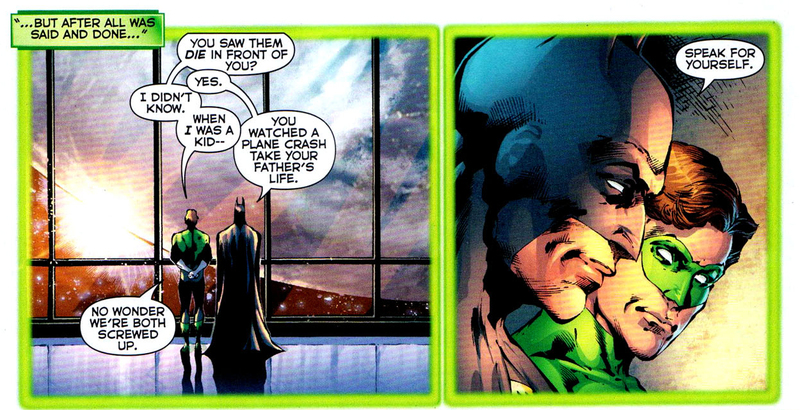 Batman: You watched a plane crash take your father’s life. Green Lantern: No wonder we’re both screwed up.